The FDA has found hepatitis A in two samples of Sea Port Products Corporation scallops that are at the center of the outbreak in Hawaii. On August 17, the analysis came back positive. The samples were collected on August 11, 2016. The tests were the result of a hepatitis A outbreak in Hawaii that has sickened at least 206 people. Fifty-one people are hospitalized because their illnesses are so severe. That outbreak has been ongoing since the June 12, 2016 and more cases are being diagnosed each week. The FDA is supporting the Hawaii Department of Health in the investigation. Those scallops were distributed to California, Hawaii, and Nevada but were not sold directly to consumers; they were sold to restaurants and other facilities. Yesterday, Sea Port issued a voluntarily recall of frozen Bay Scallops that were produced on November 23 and 24, 2015. The scallops are imported from the Philippines. Restaurants and retailers should not sell or serve these recalled Bay Scallops. In Hawaii, the scallops were sold to Genki Sushi restaurants on the islands of Oahu and Kauai. The scallops were served raw at those establishments. Those restaurants have closed, have thrown away all of their food, and are undergoing deep cleaning. Any restaurant that purchased those scallops should wash and sanitize display cases and refrigerators where the potentially contaminated products were stored. They should also wash and sanitize cutting boards, surfaces, and utensils that were used to prepare, serve, or store the products. Cross-contamination of cutting services and utensils may be an issue. And employees who came into contact with the product may be at risk for contracting the illness. Consumers should not order or eat raw bay scallops sold by Sea Port Products. 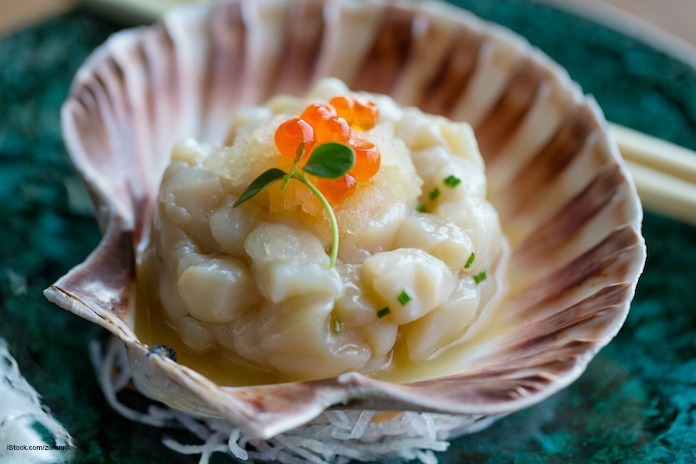 If you do choose to eat raw scallops, ask the restaurant whether they have purchased scallops from that distributor. 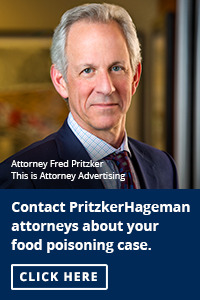 Some groups should never eat raw seafood, or, for that matter, raw or undercooked ground meats, poultry, pork, or raw milk or juices. They include pregnant women, young children, the elderly, anyone with a compromised immune system, those with decreased stomach acidity, or people with a chronic illness. Anyone with liver disease has to be especially careful about hepatitis A. Talk to your doctor if you have liver disease and have eaten raw scallops, especially at the Genki Sushi restaurants in Hawaii. To help prevent the spread of hepatitis A, always thoroughly cook seafood. Water, shellfish, and salads are the most frequent sources of hepatitis A and the sources of outbreaks over the past few years. Also always wash your hands thoroughly with soap and water before and after preparing food and after using the bathroom. Hepatitis A is very contagious and is also spread person-to-person. Unfortunately, when a person has contracted the virus, they are contagious long before symptoms appear, so they may work with food, in childcare settings, or in the healthcare field without knowing they are sick. The symptoms of hepatitis A include fatigue, weight loss, loss of appetite, jaundice, clay-colored stools, dark urine, nausea, and abdominal pain. Symptoms usually begin two weeks to 50 days after exposure. You can be vaccinated against the virus if you get the shot within two weeks of exposure. After that point, vaccinations are useless; all you can do is watch for the symptoms and see your doctor if you do get sick.